In a week full of wins and exciting matchups, the week is highlighted by a devastating loss. Get your fill of all the happenings surrounding Minnesota sports! Results and News: The Vikings fell to the Chicago Bears yesterday by a final score of 24-10, eliminating them from playoff contention and ending their season. It was a dismal showing yesterday as the offense was nearly nonexistent. Kirk Cousins completed 20/32 passes for 132 yards and a touchdown to Stefon Diggs. Diggs finished his day with eight receptions for 47 yards, and the lone touchdown for the purple and gold. With the Eagles swooping the final NFC wildcard spot, the Vikings will now pick 18th overall in the 2019 NFL Draft. Stat of the Week: With Kirk Cousins and the Vikings front office feeling the heat over Cousins’ massive contract that was signed during the offseason, it is worth noting that not one of the six highest-paid QB’s in the NFL made the postseason. Results and News: The Wolves 2-1 this week in a trio of road games against Eastern conference opponents. 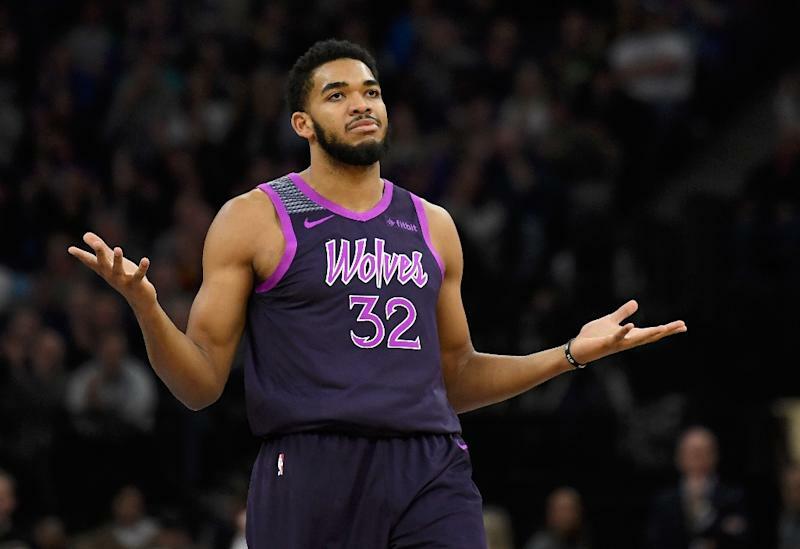 In wins over the Bulls and Heat, Karl Anthony-Towns led the way with 20 points and 20 rebounds against Chicago and 34 points, 18 rebounds, seven assists, and six blocks against Miami. This upcoming week Wolves take on the Pelicans (12/31), Celtics (1/2), and the Magic (1/4). Stat of the Week: Robert Covington has been great since landing in Minnesota and has been a key contributor on defense. He now ranks sixth in the NBA in steals per game (2.1). He trails only superstars, Russell Westbrook, Paul George, Jimmy Butler, James Harden, and Chris Paul in that category. News and Results: The Wild split this weekend with a loss in Chicago (2-5) and then bounced back with a road win in Winnipeg against the Jets (3-1). In the loss to Chicago, Zach Parise was able to get ten shots on goal, but only one of which found the back of the net. Getting the other goal was Eric Staal. Devan Dubnyk was pulled after allowing three goals after only 10 Blackhawk shots. This week, they take on the Pittsburgh Penguins (12/31), Maple Leafs (1/3), and the Ottawa Senators (1/5). This upcoming stretch will key for the Wild as five of their next six games are against playoff teams and four of six will be on the road. 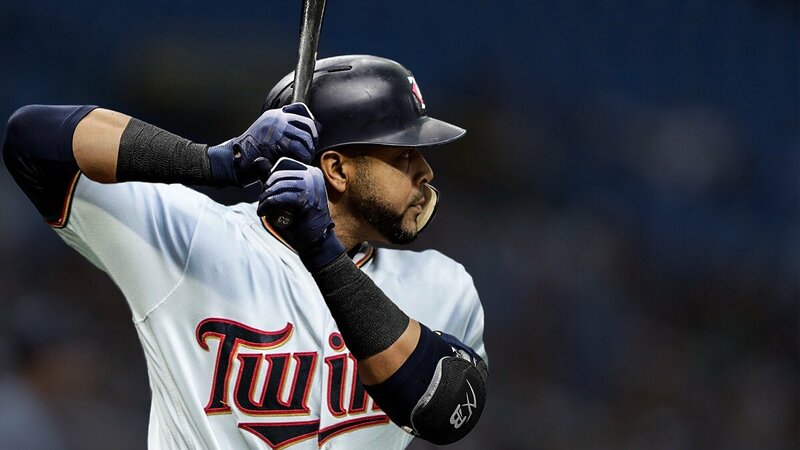 News and Results: The Twins signed Nelson Cruz on Thursday, inking the right-handed slugger to a one-year 14 million dollar deal with a team option of 12 million dollars for 2020. Though Cruz’s numbers have declined in recent seasons, he still is a legitimate threat to hit 40 bombs with .250+ average. There have also been the continued rumors of them looking into acquiring a bullpen arm or two, but no moves have been made as of yet. The Twins have additionally been connected to Yusei Kikuch, a lefty pitcher from Japan. He would certainly provide some juice to the pitching staff. In 494 ⅓ innings over the last three seasons, Kikuch has registered 497 punchouts, while only walking 161 batters. Stat of the Week: Nelson Cruz has recorded 100 or more RBI three times in the past five seasons. The last Twins player to even record 100 RBI in one year was Josh Willingham in 2012 when he batted in 110. Baseball Reference projections have Cruz slated to bat in 87 runs in 2019. There have only been three instances in which a Twins player has eclipsed 87 RBIs in the past five years. Brian Dozier did it twice (2016 and 2017) and Josh Willingham did it once (2012). Results and News: The Golden Gopher men’s basketball program won their lone game of the week with a dub over Mount St. Marys (71-53). Daniel Oturu led the way with 12 points and ten boards, making it his fourth straight double-double. In 32 minutes, Dupree McBrayer also had 15 points and three assists. Impressively enough, the Gophers were able to put up 71 points while going 4-19 from deep. This week, the enter Big Ten play for good as they head to Madison and the Kohl Center to take on the Wisconsin Badgers on Thursday, January 3rd. Stat of the Week: Through the last three games, the Gophers have been ice cold from deep. Through those three contests, they are shooting 9-54 from three-point land. That equates to a gag-worthy 16.7% from deep. That mark has to change if they want to remain competitive in conference play. Freshman sharpshooter Gabe Kalscheur has shot 5-31 from three in his last six games after making 54.7% from downtown in his first seven contests as a Gopher. Results and News: The Gopher women’s basketball team won their first Big Ten game of the season as they took down the Wisconsin Badgers by a score of 74-56. Kenisha Bell continued her strong play to start her senior year with 17 points, 10 rebounds, and five assists. Taiye Bello also had a great game with nine points and 16 assists. They take on Michigan today and will suit up against Illinois next Sunday. Stat of the Week: Whalen’s 13-0 start is the 2nd best start in program history. The Gophers’ ranking of 12th in the AP Poll is the highest ranking since 2006. They remain one of the last few unbeaten teams in NCAA DI women’s basketball. Whalen chats with her star guards, Kenisha Bell and Destiny Pitts during their Big Ten opener vs. Wisconsin. Photo Credit to Brad Rempel. Results and News: Minnesota’s Joe Rossi-led defense was the deciding factor to the Gophers 34-10 beatdown of the Georgia Tech Yellow Jackets, as U of M left Detroit as Quick Lane Bowl Champions. Redshirt freshman, Mo Ibrahim put the offense on his back as he ran for 224 yards and two touchdowns on 31 carries. Junior receiver Tyler Johnson registered four catches for 57 yards and a pair of touchdowns. Jacob and Julian Huff finished off their Gopher careers in fantastic fashion as the two combined for 17 tackles and a sack. Minnesota returns a plethora of talent next season and looks to continue their upward trend in 2019. Stat of the Week: Punter Jacob Herbers had a boring gameday bowl experience as he didn’t punt once, making it six straight quarters without a punt for the junior. Herbers will return next year to the 2019 roster.